Are you all still stuffed from your Turkey dinners? Did you survive the "crazy" shopping on Friday? Many around here left early Thursday evening and didn't get back home until late on Friday. Don't you know they are pooped? I haven't left the house since Wednesday, after all the cooking, cleaning up, playing Jenga with the kids I got busy decorating the tree. It's almost complete! Yah! Then I'll move onto other areas with more trees. 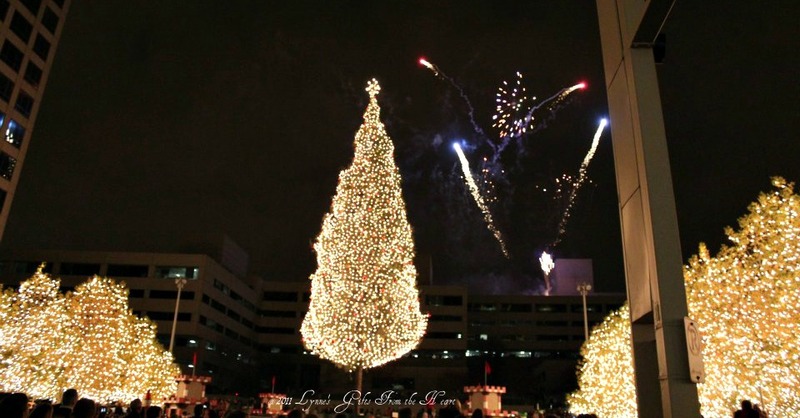 It's an annual event for many to head to Crown Center for the Annual Lighting Ceremony. I personally have never been ground level. Many years ago we flew over the area with friends, it is truly a magical site. I borrowed these shots from a local newspaper, I normally don't borrow photos, I like taking my own, since I'm unable to get there, this is just as good. :-)) They were just too pretty not to share. 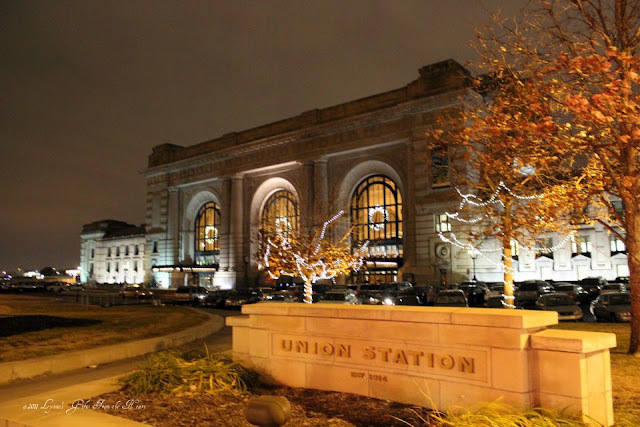 Again borrowed from their Website: There is no place in Kansas City- or any other city - quite like Union Station. This fully restored landmark is Kansas City's most prominent destination for cultural and entertainment activities. If you would like to read up on Kansas City's Union Station you can go HERE. 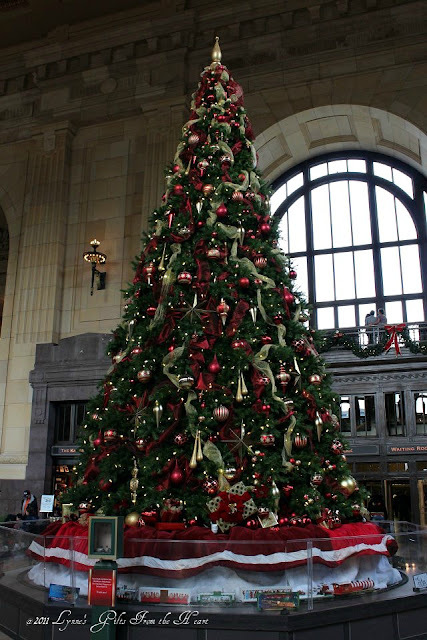 Christmas tree inside Union Station. Lovely trees. 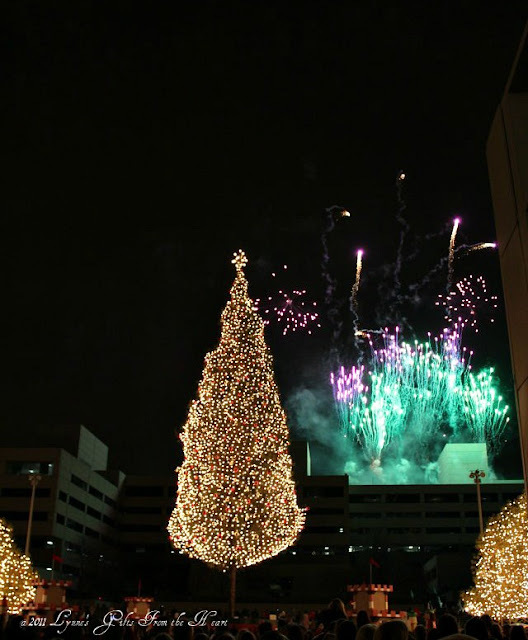 They do big tree lighting here in Atlanta but I don't go. 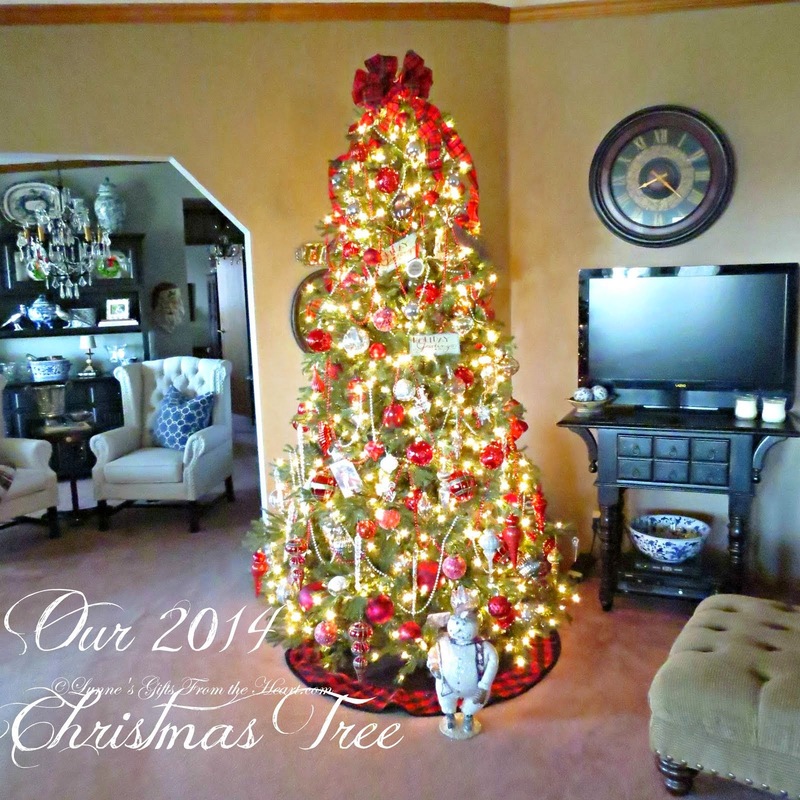 I'm lucky to get my own tree up and lit! 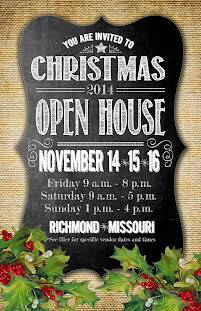 I'm ready to put up the tree and get my Christmas on! Oh...how beautiful!! We have the annual tree lighting in Chicago at Daley Plaza. I have seen it happen from my office window when I worked downtown. Named after our former mayor, it is quite sad this year as his wife passed away on Thanksgiving. We are truly mourning her here. How pretty -- a true Christmas spectacular! Pretty - Thanks for sharing. Everyone just cleared left from here a bit ago - don't know if will decorate a bit later today or not. Light rain and chilly out, so am in for the day.